Milwaukee Preservation Alliance, in partnership with the National Trust for Historic Preservation, launched the Wayfinding and Awareness Campaign to fund signage that will identify the Milwaukee Soldiers Home and describe the importance of the historic district. Thanks to a community that is passionate about the Soldiers Home and its restoration in service to veterans, we have been able to reach our fundraising goal of $30,000! Through our advocacy for the restoration and re-use of these historic buildings, MPA has found that the Soldiers Home is frequently unknown among the general public or perceived as inaccessible. 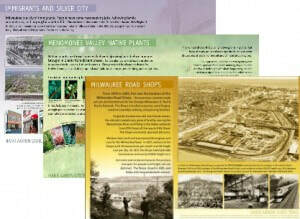 MPA launched the Wayfinding and Awareness Campaign in order to elevate the profile of the Milwaukee Soldiers Home so local residents and visitors to Milwaukee not only recognize its value and importance but are encouraged to experience this unique place. The project includes installation of National Historic Landmark directional signs on I-94 and interpretive signs along the Hank Aaron State Trail, which runs through the District. 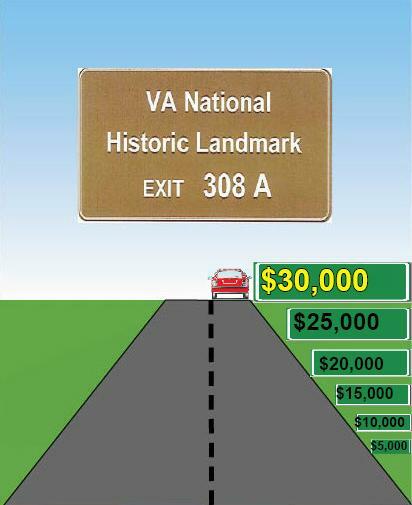 It is a simple, low-cost way to influence the thousands of people who travel past the District every day.The highway and interpretive signs have already been installed! The Wayfinding campaign originally kicked off with the downloadable self-guided audio walking tour application. This portion has been fully funded through the generous support of the David and Julia Uihlein Foundation. The National Trust for Historic Preservation has also given a $5,000 lead grant to the Milwaukee Preservation Alliance, which we were able to match dollar-for-dollar through community support. The rehabilitation and reuse of the Milwaukee Soldiers Home starts with knowledge and awareness. Thank you for helping us spread the word about this historic gem that is right in our own backyard. Due to the lack of awareness of this cultural asset and what could potentially be lost, along with the VA’s lack of funding for maintenance and repair, the Milwaukee Soldiers Home National Historic Landmark District has been in diminishing condition. ​Milwaukee Preservation Alliance is a local partner in the coalition of stakeholders working with the Milwaukee VA Medical Center to find a solution that will rehabilitate and conserve these buildings for future use in service to veterans. Though we have made great strides, we still need to elevate the profile of the Milwaukee Soldiers Home. Local residents and visitors to Milwaukee MUST recognize its value and importance from a historical perspective and its future impact on veterans’ care. 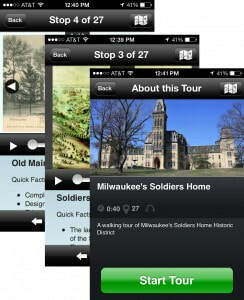 The Milwaukee Soldiers Home is a significant place for Milwaukeeans and visitors to experience. We made it to our goal! The Soldiers Home trail sign will be designed to compliment the twelve existing interpretive signs located along the Hank Aaron State Trail. The downloadable self-guided audio walking tour has been fully funded thanks to the generous support of the David and Julia Uihlein Foundation.Aaron State Trail that will compliment the existing trail signage.